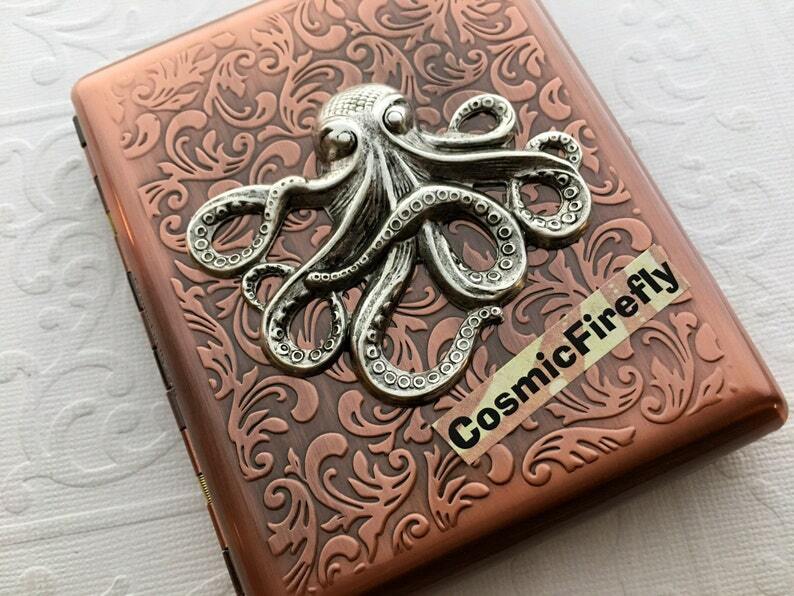 • This style case is the largest size that we sell for "100's"
Raised silver plated metal Octopus embellishment has an antiqued finish with incredible detail - you can even see the suction cups! • Black velour drawstring storage bag included! 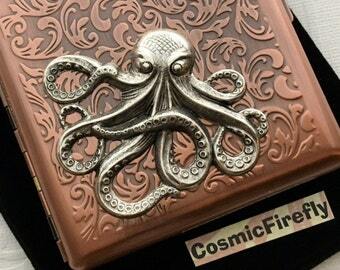 We have actually sold one of our Octopus Cases to an extremely well-known female Rock Star who buys unique accessories on Etsy and she totally Loves it!